I am recently getting more into the contemporary books, and I have felt that I absolutely needed to read a Miranda Kenneally book to really forge deeper into contemporary. So when the chance came up to get a copy of her newest story, I definitely decided to check it out, and I was in love. I flew through this book without even realizing how much I had read, I refused to put it down because I wanted more of the characters and to really see how Annie would get through. I can say that I loved the characters Miranda created in this book, and the story of Annie really trying to work through her issues by training to run this marathon. I really loved the detail that Miranda goes into of how hard it is to train for something as big as a marathon for a non-runner, not only the physical part but the emotional as well. 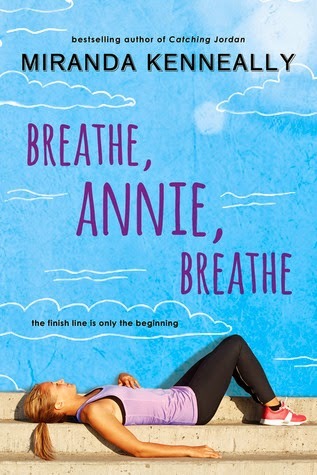 A lot of this book details Annie's training for the marathon, but a major part of the story is watching as Annie grows and learns to get over her loss and find her way back to friendships with other people. Annie meets Jeremiah while training and he helps her through so many of her issues, she begins to trust other people. Jeremiah brings Annie out of her funk and even though he scares her, at the same time he helps her learn that sometimes you need to just live in the now and not be scared of what could happen. Not only is Annie going through a difficult time after losing the one person she really loved, but it is at the most difficult time as she is getting ready for college. Honestly, the way Miranda Kenneally wrote this book had me in love, and I want to go and read more of her stories if they are all like this one. If you like contemporary books with great heart to the story, I say check out Kenneally's writing! Q: Your main character, Annie, is training to run for a marathon. You also provided a great deal of detail about how hard it is on your body to train for a marathon. Did you do any background research for this? A: Yes! In the past I ran a marathon and a half-marathon, so I used experiences from training for those races to write BREATHE, ANNIE, BREATHE. I also consulted "Runner's World" magazine and interviewed trainers at my gym. I also spoke to a few former pro-athletes. Q: Running the marathon for Kyle was Annie’s way of coping with her stress and grief. What advice would you give others in similar situations of grief or stress? A: I would say give yourself time to heal. Recognize that everyone's healing process is different. Don't beat yourself up if you don't feel better in a certain amount of time; everyone heals in different ways. If you need to, talk to good friends, your guidance counselor, or a therapist. 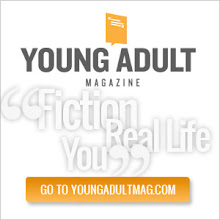 Q: Recently, there has been a huge trend with dystopian YA novels. 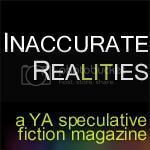 Why do you choose to write realistic fiction? A: To tell you the truth, I would love to write sci-fi or fantasy, but I've never been all that great at world-building. I love reading write what you love reading. Q: What are your favourite books so far this year? A: I've loved A MAD, WICKED FOLLY by Sharon Biggs Waller, CRUEL BEAUTY by Rosamund Hodge, and THE WINNER'S CURSE by Marie Rutkowski. Also, it doesn't come out until 2015, but I got a sneak peak at Trish Doller's next book THE DEVIL YOU KNOW, which is an awesome thriller. Q: Your books take place in a small town. Is your hometown similar to the one in your books? A: Yes, my books take place in Franklin, Tennessee, which is near where I grew up (Manchester, TN). I use real restaurants and landmarks from Franklin, Manchester, and the surrounding towns in my books. Only a couple of the schools I mention are real. Most of them are named after shopping malls in TN. This one is my favourite because of the marathon details - I loved how it was handled! It was so interesting to me. I loved this book! I loved Annie's journey and all of the supporting characters, as well.